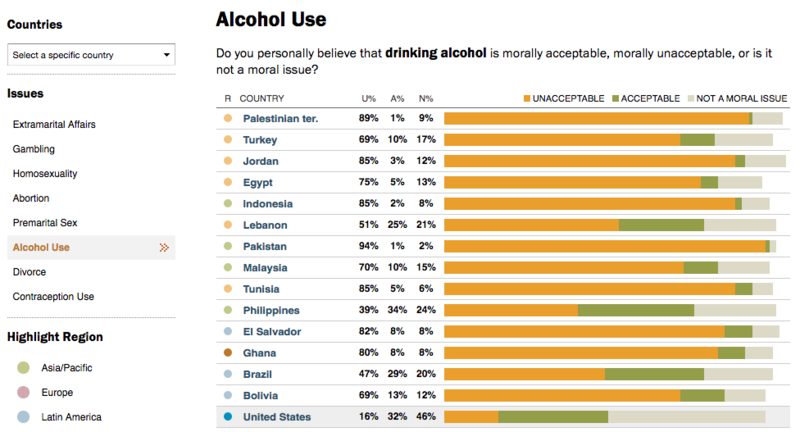 Another groundbreaking moment at the Pew Research Center was marked with the Global Views on Morality report. For the first time, all the findings were presented through an interactive. Since this would be the only way to access the data – and since each view was equally important – I built the interactive in a way that each display had its own unique URL yet maintains the interactivity.